Vitamin K is a widely researched subject with many published studies. There's also a lot of misinformation and confusion about Vitamin K, particularly Vitamin K2. Let's begin with some basic concepts. What's so confusing about Vitamin K? First of all, people often confuse Vitamin K with potassium. "K" is the chemical symbol for potassium on the periodic table of elements. Potassium is NOT Vitamin K.
Secondly, there really is no such thing as Vitamin K "per say" . . .
Quinones have different, but similar structures. Chemically, the Vitamin K family consists of 2-methyl-1,4-naphthoquinone (3-) derivatives. each functions as a separate vitamin. Vitamin K1 activates VKDP in the liver, to enable blood coagulation. Vitamin K2 (menaquinone) exists in several sub-types. differentiated only by the length of their side-chains (the number of isoprene units in its side chain). MK-4 and MK-7 are known to be bioactive. MK-8, MK-9, are thought to have some bioactivity. due to their larger molecular size (longer side-chain). Vitamin K is a family of related structures that all share a methylated naphthoquinone ring system, substituted with an aliphatic side chain. In Vitamin K1, the side chain is composed of four isoprene units, the last three of which are saturated. Vitamin K2 consists of subtypes, each with differing side chain lengths (containing 1 to 13 isoprene units). The structure of Vitamin K3 most closely resembles that of Vitamin K1, hence their similar functions. shaped like a straight line. Vitamin K3 (also known as menadione or menaphthone) is a synthesized derivative of naphthoquinone. Vitamin K3 is not naturally occurring, so it can't really be considered a true vitamin. not typically taken by humans, because it has side effects. sometimes added to chicken feed. Vitamin K1 (phylloquinone) is often called "the plant form of vitamin K". Green leafy vegetables (such as spinach and kale) are the richest source. in most cases, there is no need to supplement Vitamin K1. Vitamin K1 is essential and can not be synthesized by the body, which is why its called a vitamin. Heenrik Dam, the Danish biochemist who discovered Vitamin K in 1929 named it "K" after the Danish word "Koagulation", which means "coagulation". In the USA, Vitamin K1 is the most common form of Vitamin K sold in supplements. Vitamin K1 deficiency is rarely, if ever, seen in adults. Our bodies' have the ability to recycle Vitamin K1. Even if someone was Vitamin K1 deficient, consuming even very small amounts of green leafy vegetables or vegetable oils would provide ample Vitamin K1 to replenish the deficiency. Vitamin K1 is even found in fast food and soybean oil. Vitamin K1 plays an essential role in blood clotting, but is not known to have any other functions. The bottom line is that we feel there is no need to supplement with Vitamin K1. Vitamin K2 (menaquinone) is an amazing nutrient . . . a superstar in the vitamin world. Even worse . . . many people are Vitamin K2 deficient, particularly vegetarians and vegans. Vitamin K2 is a group of chemically similar sub-types (homologues). Each side-chain contains "functional groups" known as an "isoprene units"
The acronym for naming menaquinone homologues is based on the number of "isoprene units" they contain. followed by a number (the number of "isoprene units"). MK-4 and MK-7 are the only menaquinones used in dietary supplements. Can ONLY be produced by fermentation. is the food source with the highest level of MK-7 (350-400 mcg per oz). contain about 75 mcg per oz. It seems reasonable to deduce we need both MK-4 and MK-7. with a different chemical structure. Vitamin K2 (MK-4 and MK-7) can exist in either TRANS or CIS forms. As seen in the diagrams below, the TRANS forms are configured as straight lines, while the CIS forms are configured as "L" shapes. Like a master "skeleton" key, the straight shaped TRANS forms can unlock (activate) ALL Vitamin K-dependent proteins they encounter, while the L-shaped CIS forms can NOT activate ANY. This is why, if you are going to take a Vitamin K2 supplement, regardless of whether its MK-4 or MK-7, its so important to find one that contains the highest percent possible of TRANS form isomers, otherwise you will likely receive much less bioactive Vitamin K2, than you might think (and need). The problem is that most Vitamin K2 product manufacturers don't even disclose how much TRANS and CIS forms are present in their product. In many cases they may not even know. Most products probably contain greater than 50% TRANS form, however Vitamin K2 supplements analyzed at the University of Oslo, revealed that some MK-7 products contained as little as 15% TRANS form, which is very much at odds with their "usable K2" label claim. The bottom line is that the the form of MK-4 and or MK-7 you take is critical. CIS form is NOT bioactive. Vitamin K plays a vital role in many important physiological functions. class of proteins, known as Vitamin K-dependent proteins (VKDP's). As their name implies, VKDP's depend on Vitamin K to function. Nineteen VKDP's have been identified so far, but researchers think many more are yet be discovered. VKDP's can be activated by both Vitamin K1 and K2. Vitamin K1 activates VKDP's in the liver to synthesize coagulation factors. secreted by osteocytes in the bones. regulates cell survival of neurons and glial cells. regulates self-renewal of neural stem and progenitor cells (NSPCs). Vitamin D3 consumption stimulates the secretion of MGP, OC and other VKDP's. Vitamin K2 demand increases with Vitamin D3 consumption. based on assay of various circulating vitamin K status markers. uncarboxylated (unactivated) VKDP's (ucVKDP) in the blood. Nearly all studies today quantify vitamin K status with this method. higher uncarboxylated concentrations reflect lower vitamin K status. an active hormone that mediates glucose metabolism in experimental studies. Assays that measure total circulating MGP (regardless of its carboxylation status) have been available for some time. Recently, assays that measure different fractions of MGP in circulation have been developed, of which dephosphorylated uncarboxylated MGP (dp-ucMGP) best reflects vitamin K status. Nowadays, dp-ucMGP is available as a fully automated commercial assay, which makes it a feasible marker as routine laboratory assessment in clinical practice. MK-4 is the only vitamin K2 form that can be detected for those on a western diet. MK-4 and MK-7 play similar roles in the body, due to their similar structures. The difference in their structures makes each more suitable to act in different parts of the body. Vitamin K2 (like all fat-soluble vitamins) is transported in the blood by lipoproteins (blood cholesterols). MK-4 is transported by LDL (low-density lipoproteins) and HDL (high-density lipoproteins). MK-4 is most readily absorbed in organs and soft tissues. MK-7 is transported by LDL and VLDL (very low-density lipoproteins). MK-7 is most readily absorbed into bone. MK-4 is the only form of Vitamin K2 present in the brain. In fact its present in high concentration. MK-4 activates VKDP in the brain, involved in maintaining the structure of brain cell membranes. VKDP are thought to play a big role in managing inflammation and oxidative stress in the brain. High concentrations of MK-4 are found in other tissues as well, accounting for about 40%, with the remainder consisting of MK-9, MK-8, and MK-7 (in that order). Does that mean MK-4 is more important than MK-7? indicating that MK-7 can NOT pass through the placenta. MK-4 is the predominant form of Vitamin K2 found in human breast milk. Pregnant women, developing fetus and babies require MK-4 to meet their vitamin K2 needs. were conducted with MK-4 not MK-7. High dose MK-4 is the form of Vitamin K2 used in Japan as a prescription drug for osteoporosis. MK-7 CAN do SOME things that MK-4 can NOT. MK-7 regulates gene expression in osteoblastic cells. MK-7 is more readily absorbed into bone. Why do some MK-7 promoters bash MK-4? Some manufacturers and marketers of MK-7 products have claimed that MK-7 is superior to MK-4. We certainly consider that to be a false claim. Although it is true (as cited above) that MK-7 can function in some ways MK-4 can not, There are actually many more things that MK-4 can do, that MK-7 can not. Our purpose in discussing this topic is NOT to bash MK-7. After all, considering its safety record, unique functions and potential . . .
we chose to include MK-7 (along with MK-4) in Ultra K.
But it does beg the question: Why would anyone bash MK-4? I believe the primary reason is that promotors (of anything) tend to "talk their book". MK-7 is substantially cheaper than MK-4, and typically more profitable. Perhaps some folks need a narrative (other than greed) to support their agenda. The main cornerstone to the anti-MK-4 argument is that MK-4 has a much shorter plasma half-life than does MK-7. The implication being that, more frequent doses of MK-4 must be taken as compensation. This is a bit of a fallacy. Although its true that MK-7 can be detected in the blood for a longer time than MK-4 can, that's no reason to disparage MK-4. On the contrary, Its not as if MK-4 just breaks downs and is gone forever. Rather, it dissipates from the blood rapidly, because it is "soaked up" so quickly and readily by the many organs and tissues that need it (much faster and in greater amounts than MK-7). Keep in mind that even though the amount of MK-4 stored in the brain, pancreas, salivary glands, and arteries can't be measured, it is there . . . performing specific biological activities, and could even last longer in the body than MK-7 does. Another anti-MK-4 point is that MK-4 is synthetic, while MK-7 is natural. Neither MK-4 nor MK-7 is truly natural. Both are "made from natural sources" like leaves, petals, and legumes. But both are highly processed, undergoing lots of fermentation, purification, extraction, and precipitation, so it's really not fair to call either of these ingredients "Natural". And another talking point is "There are no studies which prove MK-4 is superior to MK-7". While it is true that studies comparing MK-4 to MK-7 are sorely lacking . . . .
That's no reason to dismiss the assertion that MK-4 is superior to MK-7. Most MK-7 studies have focused on comparison with K1 (not MK-4). The bottom line is that Vitamin K2 research is still in its infancy and the truth is that we just don't know, what we don't know. All things considered however, based on the research conducted so far, one could reasonably argue that MK-4 is more important than MK-7 and NOT the other way around. But there is no reason to have to be in one camp or the other. We believe it is wise to be in both camps, which is why Ultra K, contains both MK-4 AND MK-7. Researchers define Vitamin K deficiency as the presence of uncarboxylated (unactivated) VKDP in the blood. Very few adults are Vitamin K1 deficient. Many adults are Vitamin K2 deficient. calcification of arterial walls, heart valves and kidney stones. Pregnant women and their fetuses are susceptible to Vitamin K2 deficiency. Some (but few) prenatal vitamins contain MK-7. I don't know of ANY prenatal vitamins that contain MK-4. MK-4 can pass the blood placenta barrier, while MK-7 can not. Both "baby teeth" and "adult teeth" are formed in utero during weeks 5-12. Proper bone and dental development is impossible without adequate MK-4. Gut dysbiosis and statin use (both very common) contribute to Vitamin K2 deficiency. MK-4 and MK-7 have different properties, which must be considered in determining the ideal dosage. Some researchers have suggested that 180 to 280 micrograms of MK-7 is enough. MK-4 may be less bioavailable than MK-7. The body contains much more MK-4 than MK-7. Sato T, Schurgers LJ, Uenishi K. Nutri Journal. 2012;11:93. They were given 420 mcg of MK-4 or MK-7 every morning along with breakfast. MK-7 reached maximal serum level at 6 hours after intake and was detectable up to 48 hours after intake. MK-4 was not detectable in the serum at any time point, even after 7 consecutive days of administration. a higher dose is required to improve the carboxylation of osteocalcin. There does not appear to be toxicity issues for either MK-4 or MK-7. 2014 Some Japanese studies have used 45 mg daily dosage without major side effects. Marles RJ, Roe AL, Oketch-Rabah HA., Nutr Rev. 2017 Jul 1;75(7):553-578. 2016 Calcimimetic and vitamin D analog use in hemodialyzed patients is associated with increased levels of vitamin K dependent proteins. Fusaro M, Giannini S, Gallieni M et al. Endocrine. 2016 Feb;51(2):333-41. doi: 10.1007/s12020-015-0673-z. Epub 2015 Jul 1. Vitamin K1 and K2 are contraindicated for those taking blood thinning drugs such as Coumadin or Warfarin. The effect of anticoagulant drugs are negated by Vitamin K1 and K2. BOTH K1 and K2 in a deficient state. Supplementing with K1 or K2 renders these drugs ineffective. There is evidence that some people on anticoagulant drugs may develop arterial calcium deposits. Chatrou ML, Winckers K et al. Blood Rev. 2012 Jul;26(4):155-66. doi: 10.1016/j.blre.2012.03.002. Vitamin K has been correlated to bone health since the 1980's. 2012 Vitamin K-Dependent Carboxylation of Osteocalcin: Friend or Foe? Caren M. Gundberg, Jane B. Lian, and Sarah L. Booth, Adv Nutr. 2012 Mar; 3(2): 149-157. There has been long-standing interest in the potential role of vitamin K in the prevention of osteoporotic fractures based on its role in carboxylation of osteocalcin. Given the widespread availability of assays for ucOC and its validation as a marker of vitamin K status, this biomarker has been used extensively as a measure of vitamin K's role in bone health, as reviewed elsewhere. A plethora of observational studies was published that examined the association of ucOC and various outcomes for bone health, including BMD, qualitative ultrasound of the heel, and hip fracture risk. Many of these studies measured ucOC but did not account for total osteocalcin. Although it appeared that the preponderance of evidence suggested a vitamin K-dependent association between osteocalcin and measures of bone, especially in the elderly, the high correlation between ucOC and total osteocalcin may have confounded the findings, because total osteocalcin is a robust marker of bone formation, independent of nutrient effects. Therefore, it is difficult to differentiate the osteoblastic effect of osteocalcin from the role of the vitamin K-dependent γ-carboxylated -carboxylation in these studies. 5x more hip fractures rate than those with activated osetocalcin. Vitamin K2 is much more efficient than Vitamin K1. High levels of K2 can reverse osteoporosis with no side effects. sustains the lumbar BMD in patients with liver-dysfunction-induced osteoporosis." Knapen MHJ, Hamulyak K, Vermeer C. Ann Intern Med. 1989;111:1001-5.
decrease in urinary calcium and hydroxyproline. Price PA Connect Tissue Res. 1989;21:51-60.
matrix Gla protein, protein S, and Gas6) as components of bone matrix. Soute, BAM, Ulrich, MMW, Knapen, MHJ, van Haarlem LJM, Vermeer C. Calcif Tissue Int 1988;43:184. The researches describe an assay procedure for determining the amount of gammacarboxyglutamic acid (Gla) residues in serum- or plasma-osteocalcin. It was demonstrated that the Gla-content of circulating osteocalcin from normal cows is similar to that of osteocalcin obtained from bone. on aortic calcification, heart disease, and all-cause mortality. has a strong protective effect on cardiovascular health. 25% reduction of all-cause mortality. had NO protective effect on CHD. "A high-dose vitamin K supplement reduced calcium precipitates associated with hardening of the arteries by 37 percent in rats"
"If the results can be reproduced in humans, high-dose vitamin K could have potential clinical implications for reducing arterial calcification, which is an important independent risk factor for the development of cardiovascular disease (CVD). "High vitamin K intake not only prevents calcification, but even regresses arterial calcifications"
Gast G.C.M., et al. Nutr Metab Cardiovasc Dis. 2009; 19:504-10. 16,000 people from the Prospect-EPIC cohort population. Subjects were free of cardiovascular diseases at the baseline. Shea MK, Holden RM. . Adv Nutr. 2012;3(2):158-65. El Asmar MS, Naoum JJ, Arbid EJ. Oman Med J. 2014 May;29(3):172-7. Maresz K. Integr Med (Encinitas). 2015;14(1):34-9. 2015 Inactive Matrix Gla-Protein Is Associated With Arterial Stiffness in an Adult Population-Based Study. Pivin E, Ponte B, Pruijm M et all. Hypertension. 2015 Jul;66(1):85-92. Guylaine Ferland, Biofactors. 2012 Mar-Apr;38(2):151-7. doi: 10.1002/biof.1004. Epub 2012 Mar 15.
has been closely associated with the nervous system. Functionally, Gas6 is involved in a wide range of cellular processes that include cell growth, survival, and apoptosis. Gas6 acts by signaling cells in both the central and peripheral nervous systems. In the brain, Vitamin K2 (MK-4) activates Gas6, which is involved in the synthesis and metabolism of sphingolipids (an important class of lipids present in brain cell membranes). Sphingolipids (consisting mainly of: ceramide, sphingomyelin, cerebroside, sulfatide, and ganglioside) are found in high concentrations in both neuronal and glial cell membranes. Initially appreciated for their structural role, sphingolipids are now viewed as key players in important cellular events such as proliferation, differentiation, senescence, cell-cell interaction, and transformation. In recent years, studies have linked alterations in sphingolipid metabolism to age-related cognitive decline and neurodegenerative diseases such as Alzheimer's disease (AD) and Parkinson's disease. Menaquinone-4 (MK-4) is the only form of Vitamin K2 found in the brain and shows unique actions against oxidative stress and inflammation, which could have far-reaching effects in the brain and other components of the nervous system. Li J, Lin JC, Wang H, Peterson JW, Furie BC, Furie B, Booth SL, Volpe JJ, Rosenberg PA.
Oxidative stress is believed to be the cause of cell death in multiple disorders of the brain, including perinatal hypoxia/ischemia. Glutamate, cystine deprivation, homocysteic acid, and the glutathione synthesis inhibitor buthionine sulfoximine all cause oxidative injury to immature neurons and oligodendrocytes by depleting intracellular glutathione. Although vitamin K is not a classical antioxidant, we report here the novel finding that vitamin K1 and K2 (menaquinone-4) potently inhibit glutathione depletion-mediated oxidative cell death in primary cultures of oligodendrocyte precursors and immature fetal cortical neurons with EC50 values of 30 nm and 2 nm, respectively. The mechanism by which vitamin K blocks oxidative injury is independent of its only known biological function as a cofactor for gamma-glutamylcarboxylase, an enzyme responsible for posttranslational modification of specific proteins. Vitamin K does not prevent the depletion of intracellular glutathione caused by cystine deprivation, but completely blocks free radical accumulation and cell death. The protective and potent efficacy of this naturally occurring vitamin, with no established clinical side effects, suggests a potential therapeutic application in preventing oxidative damage to undifferentiated oligodendrocytes in perinatal hypoxic/ischemic brain injury. 1999 Vitamin K-dependent proteins in the developoing and aging nervous system. Tsaioun, KL. Nutr Rev. 1999 Aug;57(8):231-40. It has been previously demonstrated that vitamin K-dependent carboxylase expression is temporally regulated in a tissue-specific manner with high expression in the nervous system during the early embryonic stages and with liver expression after birth and in adult animals. This finding, along with the discovery of wide distribution of the novel vitamin K-dependent growth factor, Gas6, in the central nervous system, provides compelling evidence of a biologic role of vitamin K during the development of the nervous system. In animals and bacteria, vitamin K was observed to influence the brain sulfatide concentration and the activity and synthesis of an important enzyme involved in brain sphingolipids biosynthesis. The role Gas6 plays in the activation of signal transduction events in the brain related changes to the nervous system is also being investigated. Investigating the biologic role of vitamin K, and Gas6 in the brain may be important for unveiling the mechanisms of normal and pathologic development and aging of the nervous system. Administration of the vitamin K antagonist warfarin has previously been shown to decrease brain sulfatide concentrations and decrease brain galactocerebroside sulfotransferase (GST) activity in young mice. A dietary deficiency of vitamin K has now been shown to decrease (P < 0.01) brain sulfatide concentrations of 30-d-old mice significantly (by 21%). These data suggest that in addition to its recognized role in Gla synthesis, vitamin K status is important in the maintenance of normal complex lipid sulfatide metabolism in young rats and mice. The ability of vitamin K to influence the activity of biosynthetic and catabolic enzymes and the turnover of sulfatides suggests a possible regulatory role for vitamin K in the maturing brain. Decrease sulfatides have been associated with brain aging and alzheimers disease. Wei et al. Nephrol Dial Transplant (2017) 1-9.
in relation to dp-ucMGP, a biomarker of vitamin K status. incidence determined during followup (March 2016). for a doubling of the baseline dpucMGP level. "The fact that Western population is vitamin K deficient is well known. Wei et al (2017) paper shows that more than one-third of the study participants had a dp-ucMGP level higher than optimal for the prevention of macrovascular complications"
"In a randomized controlled trial, supplementation with VK2 (MK-7) 180 mcg daily compared with placebo reduced plasma dp-ucMGP by 50% [Knapen et al 2015]. Due to fact that it is extremely difficult to keep optimal vitamin K status with normal diet, vitamin K2 supplementation should be recommended." "The study also found a correlation between low vitamin K status (high level of dpucMGP ) and hypertension or diabetes mellitus, blood pressure, and total cholesterol. Additionally, across increasing categories of dp-ucMGP , eGFR decreased and the prevalence of CKD increased, which proves that vitamin K status is extremely important for general health." 2013 Peptides of matrix Gla protein inhibit nucleation and growth of nydroxyapatite and calcium oxalate monohydrate crystals. Goiko M, Dierolf J, Gleberzon JS, et al. PloS One. 2013;8:e80344. activated MGP inhibits kidney stone formation. 2001 Regulation of osteopontin expression in a rat model of urolithiasis. Chang L, Feng T, Li J, Dou C, Wei J, Yinghu G. Chinese Medical J. 2001;114(8):829-832. Investigated the relationship between the expression and regulation of osteopontin and kidney stones. Treated rats with vitamin D3, vitamin K, testosterone or estradiol for 7 days. The results showed that vitamin K, testosterone and estradiol up-regulated the expression of OPN mRNA and its protein, thus decreasing the precipitation of calcium oxalate in rat kidneys. The findings indicated that vitamin K, testosterone and estradiol inhibit the formation of stones via up-regulating the expression of OPN in kidneys, while D3 overdose may accelerate the process. Vitamin K2 induced mitochondria-related apoptosis in human bladder cancer cells via ROS-JNK/p38 MAPK signal pathways. Vitamin K2 suppressed the growth of human bladder cancer cells in mice, which was further confirmed by vitamin K2-induced apoptosis. This potent apoptotic effect was observed on human bladder cancer cells but NOT on normal cells. Dasari, Ali, et al. Oncotarget. 2017 Aug 22; 8(34): 57782-57799. 2008 Dietary intake of vitamin K and risk of prostate cancer in the Heidelberg cohort of the European Prospective Investigation into Cancer and Nutrition (EPIC-Heidelberg). Nimptsch K, Rohrmann S, Linseisen J.
evaluated the association between dietary intake of phylloquinone (vitamin K1) and menaquinones (vitamin K2) and total and advanced prostate cancer in the Heidelberg cohort of the European Prospective Investigation into Cancer and Nutrition. Researchers suggest an inverse association between the intake of menaquinones, but not that of phylloquinone, and prostate cancer. 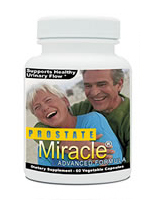 Further studies of dietary vitamin K and prostate cancer are warranted. Ito A, Shirakawa H, Takumi N, Minegishi Y, Ohashi A, Howlader ZH, Ohsaki Y, Sato T, Goto T, Komai M.
investigated the function of vitamin K in the testis and analyzed its role in steroidogenesis. MK-4 stimulates testosterone production in rats and testis-derived tumor cells via activation of PKA. MK-4 may be involved in steroidogenesis in the testis, and its supplementation could reverse the downregulation of testosterone production in elders. Hiraike H, Kimura M, Itokawa Y. Am J Obstet Gynecol. 1988 Mar;158(3 Pt 1):564-9.
evidenced by the presence of MK-4 found in the cord blood. Saga K, Terao T. Nihon Sanka Fujinka Gakkai Zasshi. 1989 Nov;41(11):1713-9. MK-4 is accumulated and concentrated into breast milk, and continuous MK-4 administration can increase the concentration of vitamin K2 in milk. MK-7 administration was not studied, so no conclusions can be made about MK-7 and its ability to concentrate into breast milk. Kojima T, Asoh M, Yamawaki N, Kanno T, et al.. 2004 Apr;93(4):457-63. 2007 Matrix Gla protein is involved in elastic fiber calcification in the dermis of pseudoxanthoma elasticum patients. Gheduzzi D, Boraldi F, Annovi G, DeVincenzi CP, Schurgers LJ, Vermeer C, Quaglino D, Ronchetti IP. Collagen and elastin are two of the components of skin that give it firmness and elasticity. As skin ages, it loses both collagen and elastin, and hence its youthful appearance. Skin cells may release matrix-GLA protein to prevent calcification of elastin in the skin. a genetic disorder where premature aging occurs. 30% less of Gla-MGP compared to controls. lack of Vitamin K2 activated matrix-GLA protein. Matrix-GLA and in turn preventing calcification of elastin and collagen. Other Products Available from: NHS Global Distributors, Inc..
please call 877.965.2140 or Click here to report any Adverse Reaction with Ultra K®.